If you’re looking for a fun winter party idea – host a soup swap! Think, a cookie swap but instead of taking home piles of cookies you’re trying to avoid this time of year, you get to bring home some new, fun lunches and dinners. It’s also a super easy party to throw. 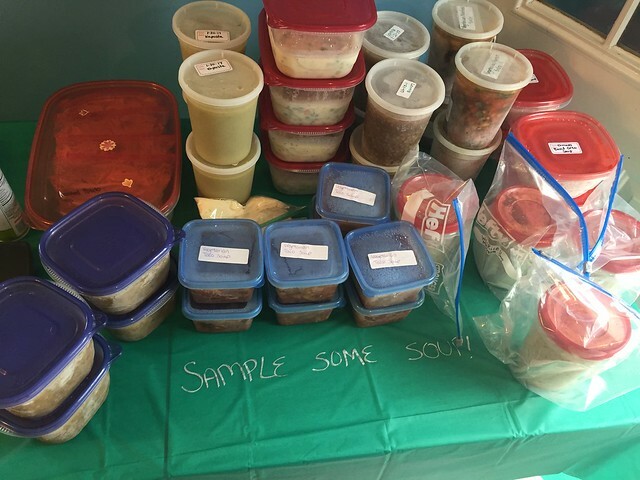 We have each family bring 5 quarts of soup – 4 frozen, to be swapped, and 1 to heat up for sampling. I set up a grilled cheese bar – bread, cheese, a bunch of toppings and a Panini press – and everyone makes sandwiches and then hangs out in the dining room or kitchen while the soup heats up. We’ve done our soup sampling in rounds the last two years, in an effort to keep the soups warmer. We had 8 soups this year, so it was 2 rounds of 4 soups each. 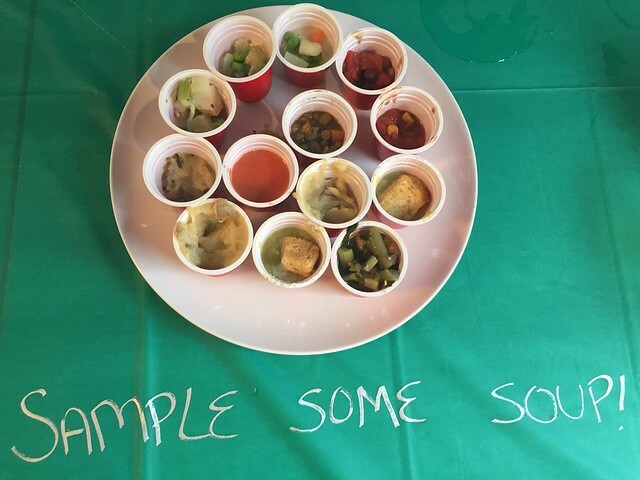 After sampling, we vote on best soups. I always get little bags of chocolates for the winners! Then, we pick our soups draft-style. Everyone goes home with 4 quarts of different soups. And of course, there’s dessert. Such a fun way to spend a chilly January afternoon! 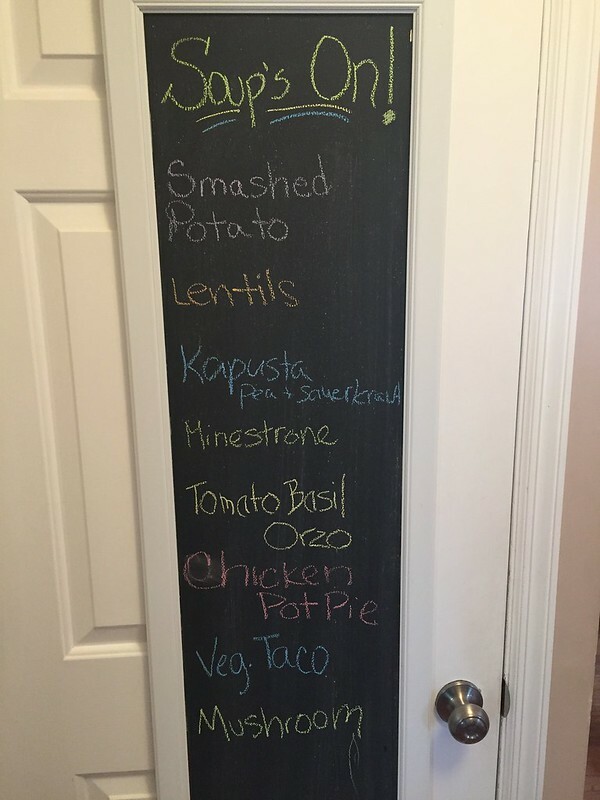 You can check out my first soup swap party here.